Make sure you read and follow them so you don’t have any problems passing tech and don’t do anything that will end your day early. Pit Fire Extinguisher requirement FULLY ENFORCED! All drivers must have a 10lb or two 5lb fire extinguishers in their pit space at all times. Please see the schedule page for the official list of events. 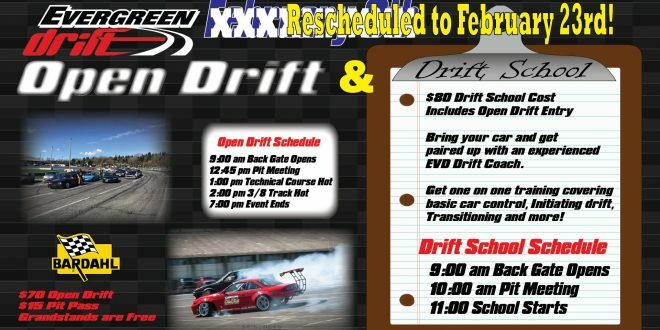 Open Drift – These are practice/play days open to anyone who has a car that can pass tech inspection with the required safety equipment, and agrees to abide by the Evergreen Drift rules and waiver terms. Grandstands are open for spectators, and pit passes are available to drivers and crew. Drift School – The drift school is designed for drivers new to drifting to get one on one instruction from Evergreen Drift’s experienced instructors. 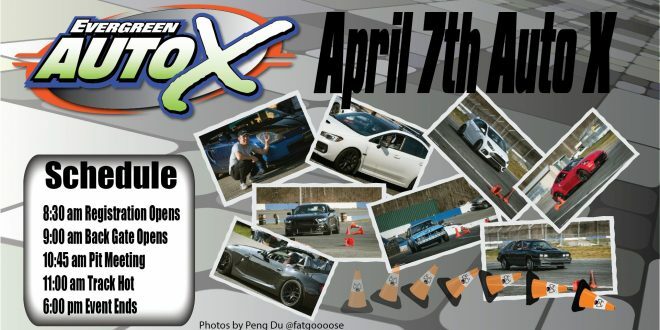 If you don’t have a drift car you’ll be able to sign up to attend the school presentation and take ride-alongs with the instructors to learn first hand what it takes to get started in the sport. 3/8ths Grassroots Championship – Are you new to drift competitions? Maybe you don’t have the budget to build a 400hp ProAm monster car for the 5/8ths. The 3/8ths Grassroots Championship was designed for you. This is a unique championship series that allows drivers of all skill levels and car setups to compete inexpensively with an equal shot at the podium. The proven competition rules allow for caged and non caged cars to safely compete head to head by using “Pseudo Tandem” bracket eliminations. Judging is based on how well the driver pushes their car to the limits, allowing a beginner in a mildly modified car an equal playing field against a competitor with a highly modified car. 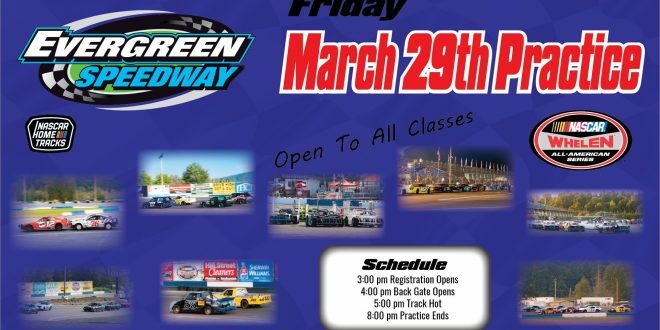 This is a true grassroots series allowing drivers of all experience and modification levels to ‘run what you brung’ and compete without breaking the bank. Evergreen Drift Northwest ProAm Championship – The Northwest’s top drifters battle it out on the full 5/8ths Formula Drift spec course in a championship series. Both licensed professional drifters and amateur drivers will vie for the the title of Evergreen Drift Northwest ProAm Champion. With a round held in conjunction with the Formula Drift Pro Championship event in July, this is the hottest series in the Northwest. As a Formula Drift ProAm sanctioned series the season’s top three finishing amateur drivers will receive a Formula Drift Professional license! To compete in this series your car and safety equipment must conform to the ProAm Drift Rules and drivers must demonstrate the necessary skill to safely navigate the 5/8ths ProAm course. See the event posts for details on pricing, schedule, and additional information. Competition registration will be online and open prior to the event date. Competition registration does have a drivers cap so be sure to register to ensure you are able to drive! Pre-registration is not normally necessary. Just show up and pay at the gate! The event post will let you know if there are any special registration or other changes. Payment is on site only – first come first served. No discounts for late arrival. Pay and sign the waivers at the pit shack. Park in the pits, unpack, and drive your car to tech. Once your car passes tech make sure you get your run group assigned by the registration/tech people. Put your car into staging as soon as possible. Attend the mandatory Drivers Meeting at the time specified on the event post. The South RV Pit Gate is the usual way to get into the pits. The event post will have instructions if there are any changes for events during the Fair, Formula Drift, etc. Follow Cascade View Dr. off HWY2, turn left AFTER the RV area with the white fence. Follow the gravel road to the left and then turn right into the track. NOTE: Gravel access road speed is 10 mph! Speeding will make the county workers unhappy and jeopardize our ability to hold future events. Do not speed, drift, or do doughnuts near the Speedway! Violators will be banned and reported to the police. Sundays – County regulations prevent the firing of an engine (aka any loud automotive noise) at the Speedway before 11AM on Sundays. If residents living near the track report a noise violation the Speedway will be fined several thousands dollars. Please help us by not revving engines and gearing up as you drive in if you have loud exhaust. We need to keep the neighbors happy and fine free to continue drifting at the Speedway! Gross violators will be removed from the Speedway without refund. 16 is the minimum age for pit access and all minors must have a parent/guardian sign a one time waiver valid for the duration of the season. Grandstand access is all ages and is the only safe place for young children. See the Minor Waiver Information Page for full details and instructions. All cars must meet the safety equipment rules and drivers must wear all safety gear required in the ProAm Rules to drift the 5/8ths course on open drift days and during ProAm competitions. New drivers must be approved by Director of Evergreen Drift to be allowed on the 5/8ths.